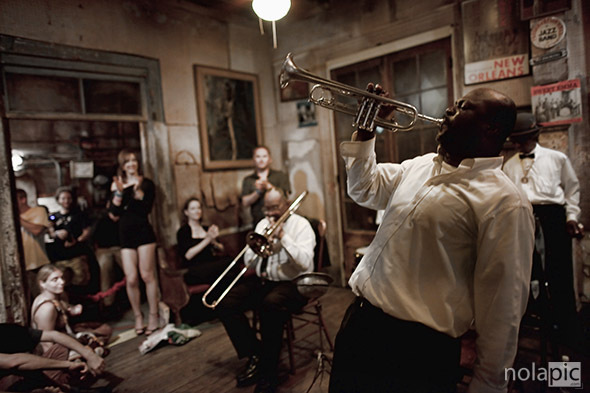 When I first heard that on April 30th the Treme Brass was going to be playing at the Preservation Hall in the French Quarter of New Orleans, my reactions were mixed: I got very excited, because I could see in my mind’s eye the unique pictures of the Treme Brass Band Band playing in that awesome and antique venue…Yay!!! What a perfect match I thought! 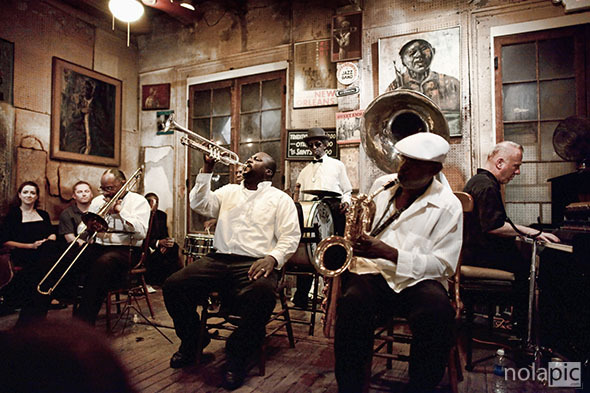 What other Band would “blend in” and complement with the Preservation Hall atmosphere!?! Yet, I were mad because the following day I had already something else planned that would have required me to wake up very early in the morning, which that made me think there was no way I could have attended a concert that started at 12:00 AM and would have ended at about 2:00 AM, or possibly even later! 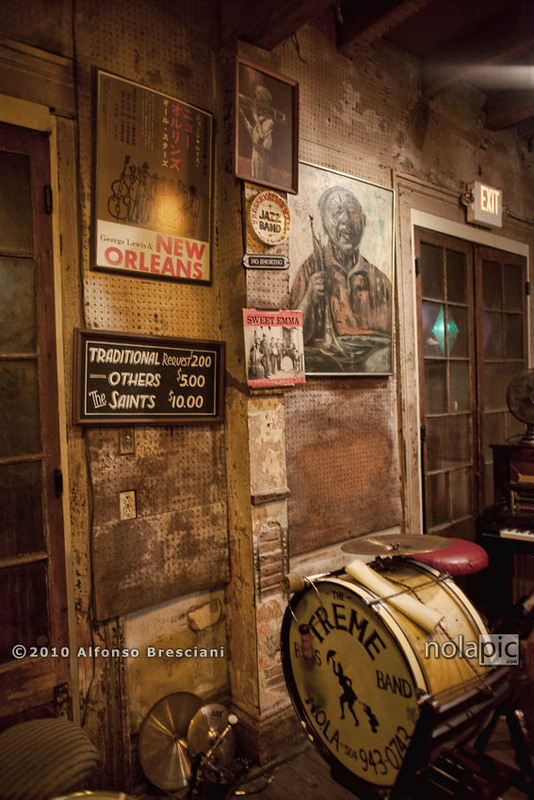 I even tried to find out how often did the Treme Brass Band play there, since I knew they played every week at the Candle Light. 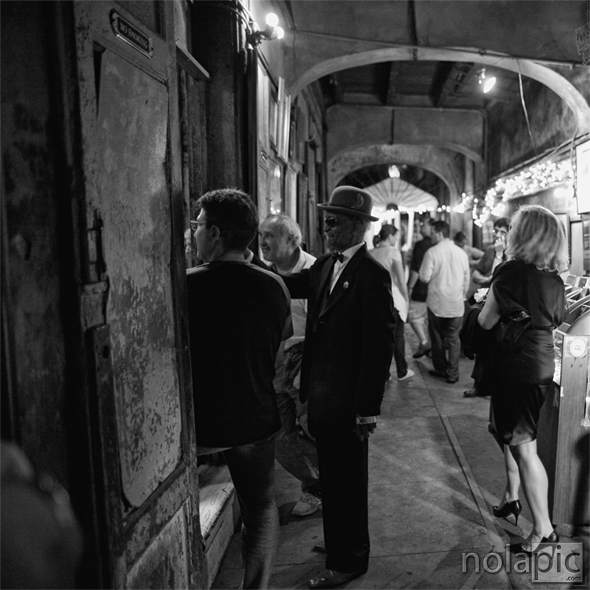 Click image to purchase a print on nolaPIC.com The Drum of the late “Uncle” Lionel Batiste before a performance of the Treme Brass Band at the Preservation Hall in New Orleans. To cut the story short, I ended up going online and purchased myself a ticket for the event, which was sold out about a week before the performance (by the way I was in line and waiting to get it about 45 minutes in advance, pretty much first in pole position, since I wanted to have the very first choice in deciding where to sit and shoot from:). 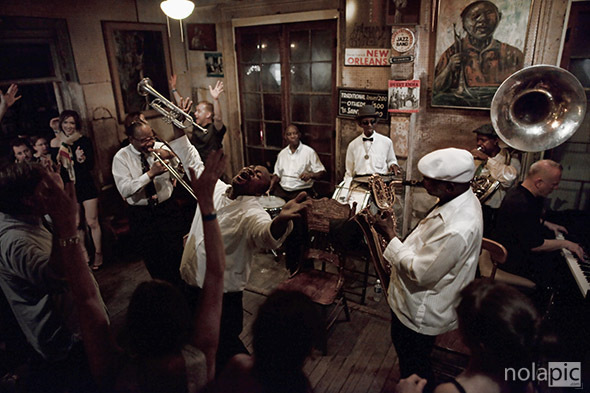 For those of you not familiar with the Preservation Hall, if you do happen to visit, do not forget to check it out. The place is “magic” and I guarantee, you won’t find anything this raw and funky anywhere in the world! 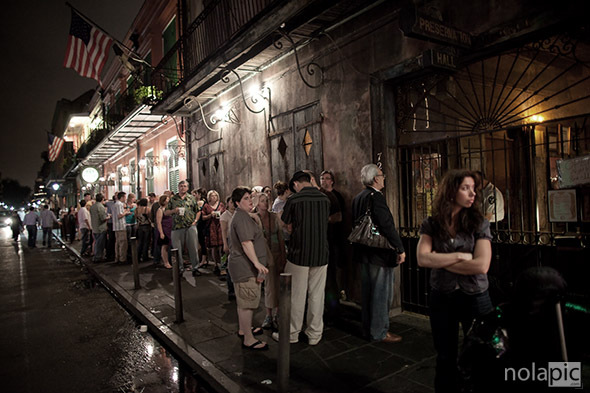 You can’t describe the venue with words, you must and should experience it! In the meantime I hope you do enjoy my photos and if you decide to purchase yourself a picture or two click on any photos in here and you’ll be taken on my other site nolaPIC.com where prints can be purchased.